Head down the road to a local farm with close friends and a gaggle of kids, pick waaaay too many apples, grab some produce at the farmstand, stop by the fish market on the way home for the main course, and a delicious dinner (all sourced from within 30 miles or so) is had by all. But now it’s a week later and we still have So. Many. Apples. 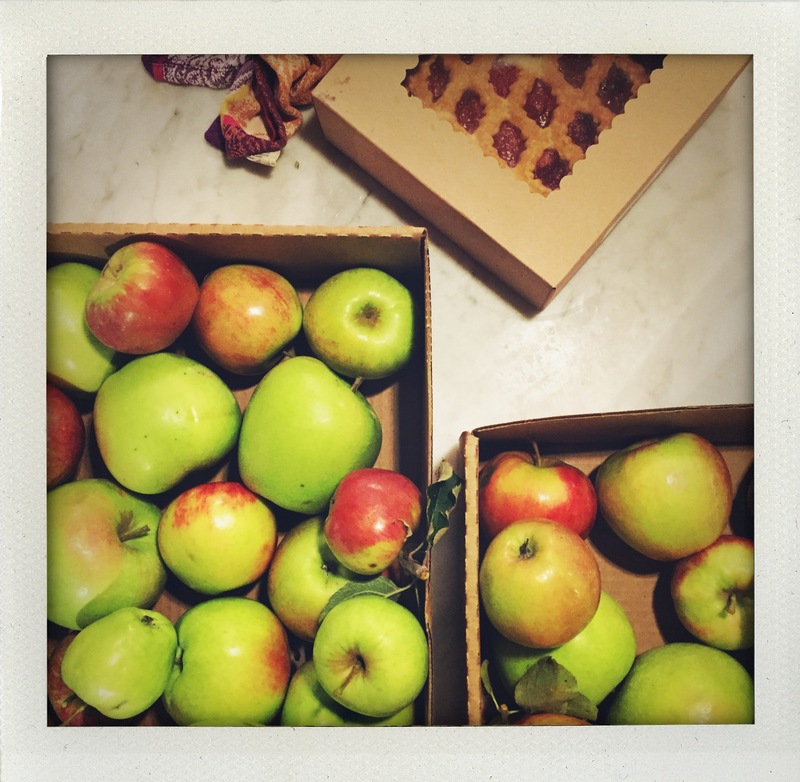 Every year I somehow forget that I don’t need 75 apples on my kitchen shelf, so I go crazy picking tons of apples, and then I get home and reality sets in. Because while it is totally delicious, one can only make so much curried apple soup in a fortnight. Clearly, there will be glazed apple cider donuts. I am also thinking we should make some magic apple plum cobbler. Because any dish that has the word “magic” in it is alright by me. 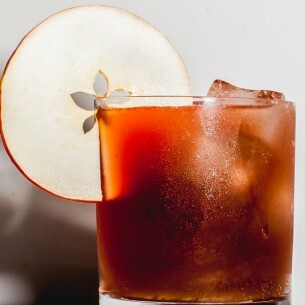 For cocktail hour this time of year, one should always consider serving up a nice apple smash. Mark Bittman helps us get healthy with this lovely apple slaw. Ummm… did I hear you say caramel apple upside down cake? Last but not least, before you roll into bed stuffed to the gills with deliciousness, I give you braised and bruleéd apples with ice cream. You can thank me later. Great apple picking. So many options. Thinking I’ll start with magic and then try the brûlée.